Posts that have been written by other researchers or contain significant amounts of information sent to me by them. 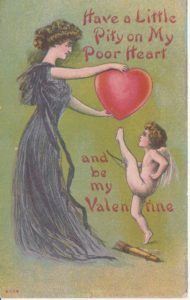 In the early 20th Century Valentines were sent thought postcards to special people who were far away. 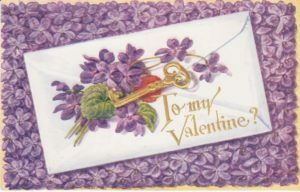 Vedia Eggleston’s Postcard Book contained several Valentine postcards. 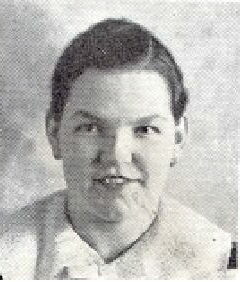 Vedia’s sister Lottie was good to remember her on Valentines Day. The written messages were not very newsworthy. 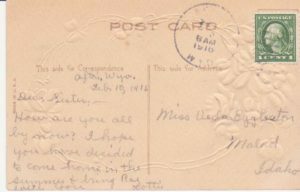 They were probably continuations of other conversations sent through postcards and letters. The intent was to keep in touch. A a colorful card with a message was a special remembrance. 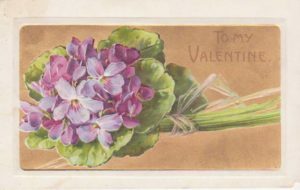 Vedia Eggleston’s postcards, like many of the time, were the way to keep in touch with family and friends who had moved away or were traveling. 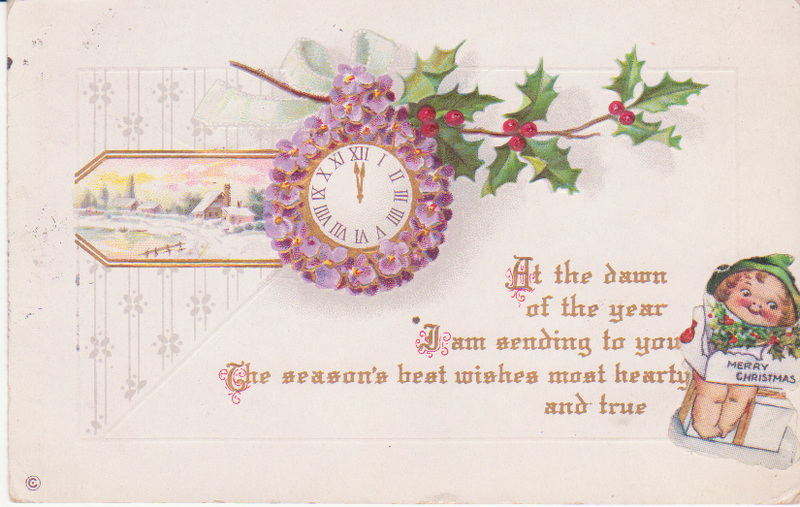 They were kind of an early 20th Century Social Media – only much slower than today. They also were a good way to let you know of places where friends were and you were not. From the commercial side, postcards were good marketing tools. Cards with photos of exciting or historic places were used to encourage tourism and pride in local sites. 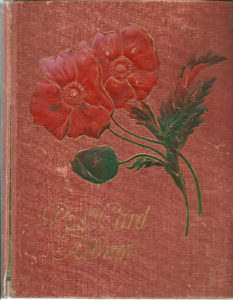 Vedia Eggleston’s Postcard book contained a number of cards from various places in the United States. 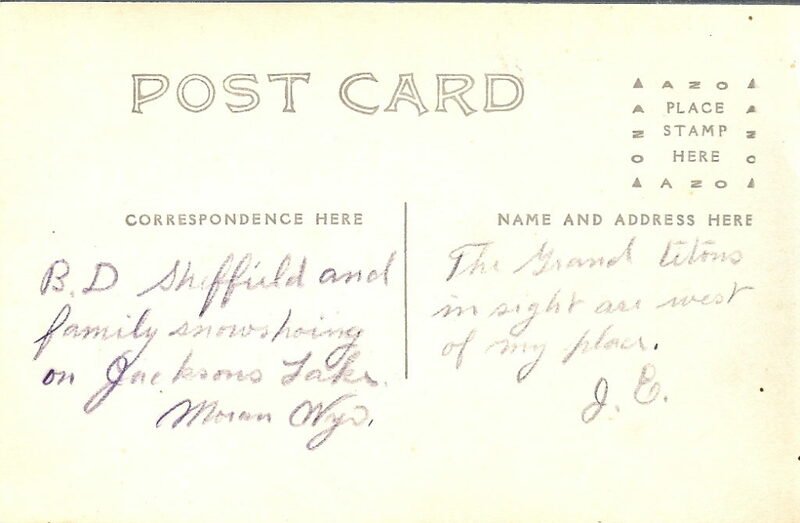 Sometimes the places that the cards were sent from was not the place indicated by the photograph on the card. 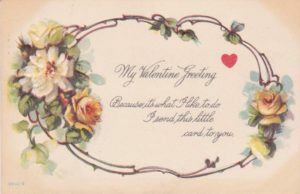 Cards may have been purchased at one place and sent from another. Or possibly cards from some places could even be purchased at home. 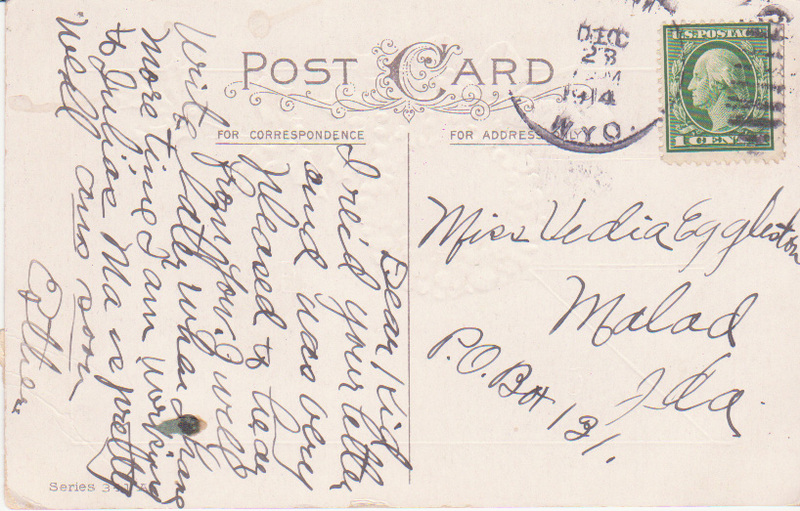 More postcards from places closer to home are shared in another post. 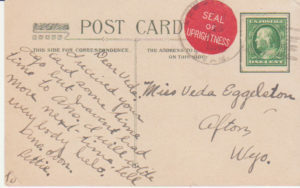 Let’s start with Madison, Nebraska, since Vedia received several cards from there in 1912. Apparently Vedia had a friend Kathryn who had moved to Madison. Vedia was not as good at keeping in touch as this Kathryn was. 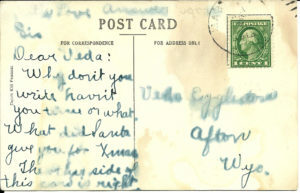 She repeatedly asked why she had not heard from Vedia. 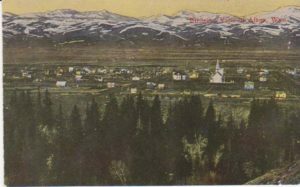 A handful of postcards from Jackson Hole give us a glimpse into life on Mormon Row a century ago. 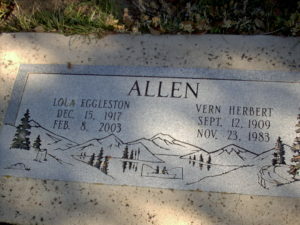 Joseph S. Eggleston grew up in Afton, Wyoming. 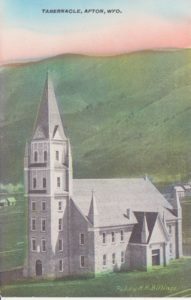 In about 1910 he went to Jackson Hole where he homesteaded in a place known as Mormon Row. 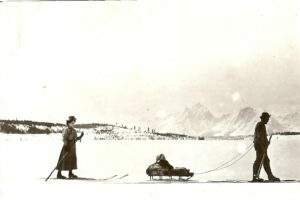 He sent these postcards from Jackson Hole during that time. There are no addresses, stamps or postmarks indicating when and to whom or where they were sent. They may have been inserted into packages sent back home to his family in Afton. 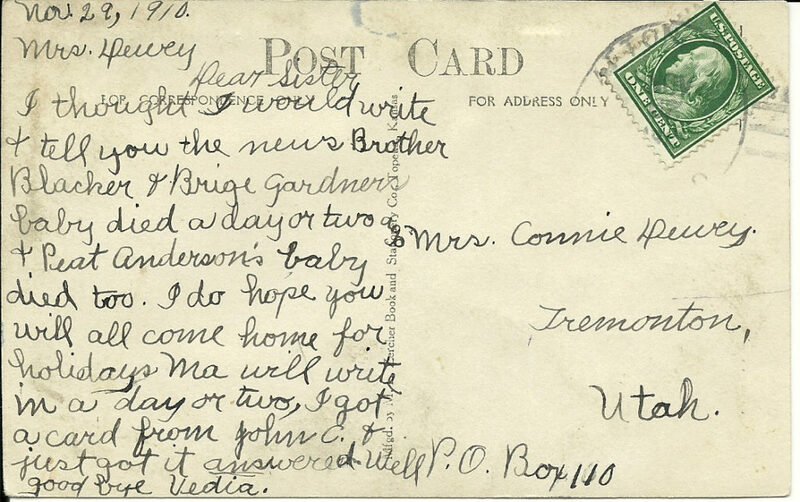 Or possibly, since Joe carried the mail on a postal route in Wyoming at that time, he did not need to address them. He could have carried them himself to Afton or included them with other mail. Cousin Don shared these postcards with me. 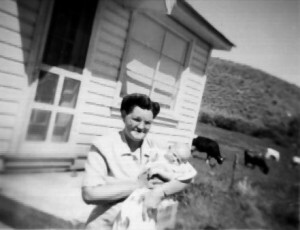 They had been with boxes of photographs he inherited from his mother, Evelyn Barbara Stock Lee. 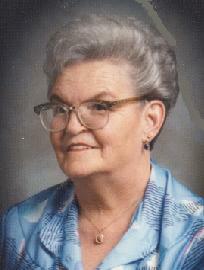 She got these from her mother Mattie Mae Eggleston Stock, who was Joseph Egglestons’s sister. 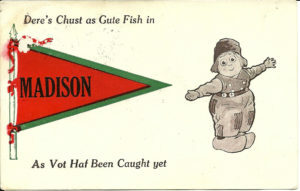 These cards were produced showing scenes from the area. Joe may have purchased a number of these. We had another one of this family skiing, but there was nothing written on it. The view from Joe’s homestead would have been very similar. He apparently knew this Sheffield family. I have always felt that this work is a collaboration between family members on both sides of the veil and that they are probably more anxious for us to know them, than we are. 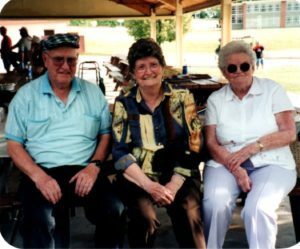 I truly feel that both Donna and I were directed on that summer day in 2010 – me to find Mariett and include her story in the family history, and Donna to learn more about the family. The bonus is forming a relationship with another living cousin. During the summer of 2010, I made a decision to finally finish and publish the book I had been writing on the Eggleston Family. My research had spanned more than a decade. I had started writing early on, adding to it as I learned more. One of the great blessings of this process was finding many living cousins along the way. Some were very distant cousins, but others were second cousins that I did not know. 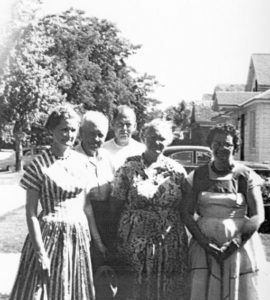 I even became better acquainted with first cousins during that time. 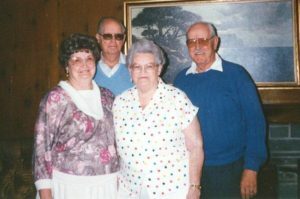 I had tried to include whatever information these cousins shared with me about different ancestors. Anyone familiar with genealogy knows that no research or resulting book is ever “completed”. There will always be remaining questions, and hopefully information coming to light in the future to help solve the mysteries. When it comes to writing up the results of research, it is necessary to reach of point of decision that what is now known is enough to write, publish and share. So in 2010, after completing a rather large and involved project with the Weber County Daughters of the Utah Pioneers Museum, I decided now was the time. 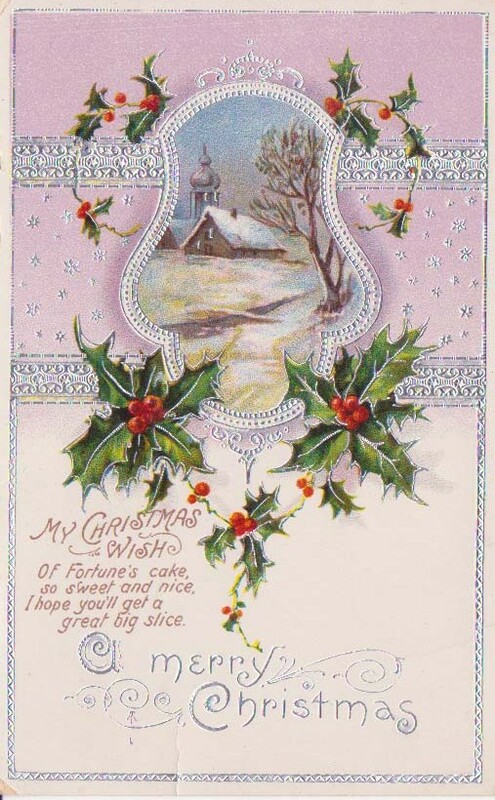 Vedia Eggleston Jones’ Postcard Book contains several cards with Christmas Greetings, some sent exactly 100 years ago. 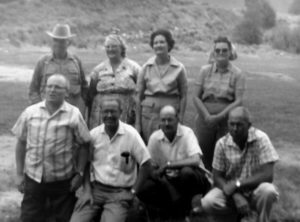 It appears that Vedia was in Malad, Idaho for the holidays, probably attending school there. One Saturday afternoon in January 2011, after having lunch in downtown Ogden with my daughters, I and my youngest decided to go across the street to our favorite Antique Store (which was new then but sadly is not there anymore) before heading home. We were wandering around different areas when I heard her calling to me from upstairs, saying something about Egglestons. I hurried to her to see what she was talking about. She had picked up an old Postcard Book filled with postcards with the names of Egglestons and asked if these were our family. I did recognize many of the names and started getting really excited. This store sold things on consignment and this album was priced rather high, intended to be sold intact. There were other old postcards being sold individually and I guess they thought that this was worth the cost of all of the individual cards. Anyway, it was more than I was ready to pay for it. I did talk to the store owner and left my name and a message for the owner of this album.